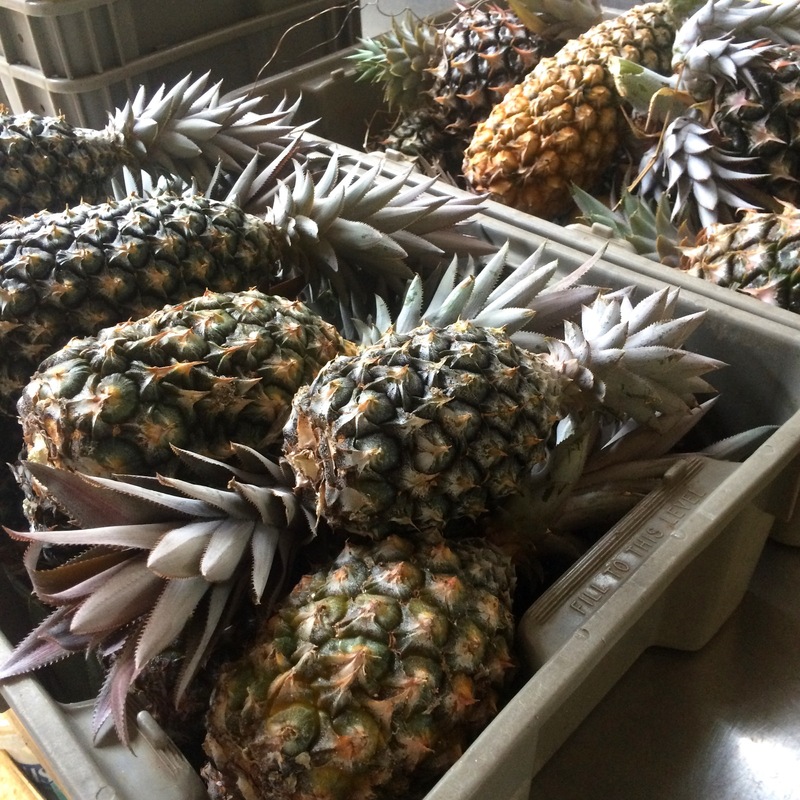 Summer is the season for pineapples at ARTfarm! Sweet sweet sweet! Sweet salad mix, microgreens, macrogreens, lots of sweet ARTfarm south shore pineapples, passionfruit, a few cucumbers, a few tomatoes, Italian basil, beets, radishes, scallions, sage, delicious serrano chili peppers, zinnia flowers, and local honey from Errol. We have a few bunches of Ethiopian kale today. It is a tender cooking or juicing green with a pungent, sweet flavor that resembles a mild mustard green. Ethiopian kale! This flavorful cooking green is mild enough to eat raw. 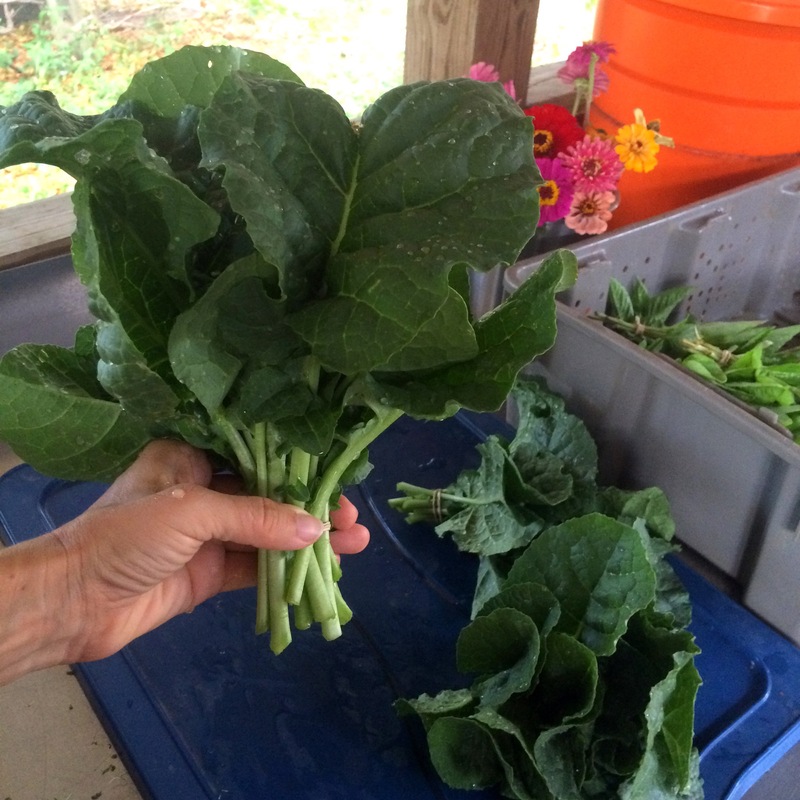 It has a mustard-like flavor but will not make your eyes water like true mustard greens. We have tickets available at the farmstand today for the annual Caribbean Dance performance that is coming up on May 29 and 30th (Friday and Saturday evenings). Each ticket is also a raffle entry to win round trip plane tickets, a Buccaneer vacation and more! Tickets are $15 each and will also be available at the door on the nights of the performance. The show takes place in the air conditioned theater at the Educational Complex and curtain time is 7:30 PM. The Caribbean Dance School celebrates their 39th anniversary on the stage this year. Performers range in age from preschooler to adult, and include students and members of the Company. Disciplines range widely from ballet en pointe to contemporary, jazz, hip-hop tap and Afro-Caribbean calypso this year. It is a completely family-friendly show! (Costumes and choreography are all in good taste and G-rated.) Even if you cannot attend, your purchase of a ticket enters you in the raffle and helps to support this great nonprofit cultural institution. Thanks for supporting the arts on St. Croix!